Students’ cries declaring McGill’s men’s varsity sports team name, the Redmen, to be discriminatory against Indigenous people have been heard. Teams will now be recognized as the “McGill teams,’’ though the university “will announce a new name in time for the 2020-2021 season,” they said in an email sent to all McGill students. 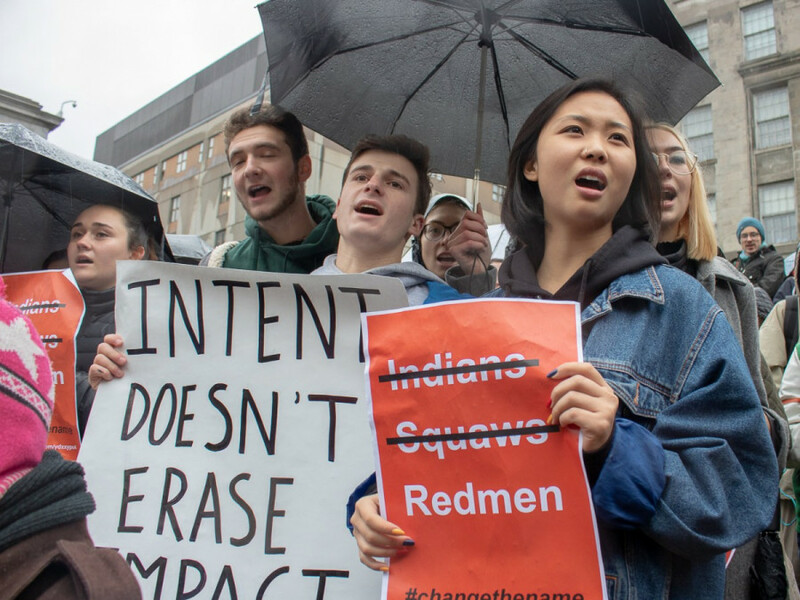 Since last fall, students have been calling for the university to change the Redmen name, as McGill has a history of using derogatory slurs against Indigenous people to label their teams. Many students felt the name was racist and exclusive. Though the name Redmen was first used to refer to the colours the team wore, McGill teams have adopted labels such as “Squaw”— a term which holds oppressive connotations for Indigenous women—and “Indians” as nicknames, and even had headdresses stamped on their jerseys and football helmets in the 1980s.